Making the best choice on cheap flights is never easy and we have found that the consumer is best suited to making their own decision when presented with the best selection of low cost flights and discount airline ticket options. Have a look around and see how we can help you save money and find cheap flights wherever you are going! Established in 2006, UK based Simply Airlines mission is to help you access crucial travel information, quickly and easily from a single source. We may not be an industry giant but our information is simply essential for your holiday travels. 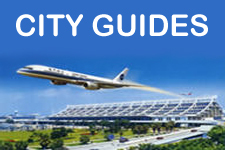 Checkout our very popular cityguides section (currently 55,609 feedback submissions received) with a high approval rate on the written and visual content. Why not rate a guide yourself? #Latest #Airport #News - ☹️Flight delays now at #Brussels Intl Airport #Belgium ☹️Check with your airline for flight timing changes. #Latest #Airport #News -☹️Flight delays this afternoon at #London #Heathrow Airport #UK☹️Check with your airline for flight timing changes. #Latest #Airport #News -☹️ Flight delays now at #London #City Airport #UK ☹️Check with your airline for flight timing changes. #Latest #Airport #News - ☹️ Flight delays now at #Basel Intl Airport #Switzerland ☹️Check with your airline for flight timing changes. #Latest #Airport #News - ☹️Flight delays now at #Montreal Intl Airport #Canada ☹️Check with your airline for flight timing changes. #Latest #Airport #News - ☹️Flight delays now at #Chicago #Midway Intl Airport #USA.☹️Check with your airline for flight timing changes. #Latest #Airport #News -☹️Flight delays now at #London #Heathrow Airport #UK ☹️ Check with your airline for flight timing changes. #Latest #Airport news - ☹️Flight delays now at #NewYork #JFK Intl Airport USA ☹️.Check with your airline for flight timing changes. #Latest #Airport news - ☹️#Flight delays now at #WashingtonDC #Dulles Airport #USA☹️ Check with your airline for flight timing changes. #Latest #Travel news update ☹️Flight delays continue at #London #Gatwick Airport #UK.☹️ Check with your airline for flight timing changes. #Latest #Travel update -☹️ Flight delays continue at #London #Gatwick Airport #UK☹️Check with your airline for flight timing changes. #Newsflash #Travel -☹️Flight delays this morning at #London #Gatwick Airport #UK.☹️Check with your airline for flight timing changes. #Newsflash #Travel -☹️Flight delays this morning at #London #Gatwick Airport #UK☹️Check with your airline for flight timing changes. #Newsflash #Travel #News-☹️Flight delays now at #San #Francisco Intl Airport #USA☹️Check with your airline for flight timing changes. #Latest #Travel #Newsflash- ☹️Flight delays now at #Bristol Airport #UK.☹️Check with your airline for new flight timing changes. #Latest #Travel #news - ☹️Flight delays this lunchtime at #Bristol Airport #UK.☹️ Check with your airline for flight timing changes. #Latest #Travel news - ☹️Flight delays now at Brussels Intl Airport #Belgium ☹️Check with your airline for flight timing changes. #Latest #Travel news.☹️Flight delays now at #Venice Marco Polo Airport #Italy.☹️Check with your airline for flight timing changes. 55,609 people have reviewed our city guides.